In the late 1970's an American Psychologist, Dr. Jimmy Scott Ph.D, developed a unique system called Health Kinesiology. Each session is tailor-made to your needs and targets your individual and unique patterns. In a Health Kinesiology session the practitioner uses a locked/unlocked response of an isolated muscle to conduct a dialogue with your energy system. Once conscious permission to work is given you are invited to lie on the couch fully clothed. 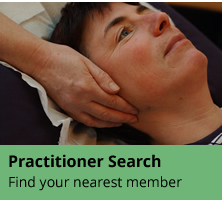 The HK practitioner initially balances your meridian energy system and asks for energy permission to proceed. Verbal questions are then asked while your muscle response is monitored. If the tested muscle gives a locked response it signifies a "yes" while an unlocked muscle signifies a "no". HK uses a rigorous system of asking verbal questions to hone in quickly on which of their established protocols is the best method of helping you on the day. Health Kinesiology rebalances your whole system to stimulate genuine healing on all levels — physical, emotional, mental and spiritual. HK awakens your system so that it taps into all that is nurturing, and makes it robust against all that is weakening from your environment. 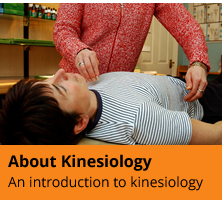 People who have had health kinesiology sessions have reported benefits in their ability to function better intellectually, release of limiting negative thought and behaviour patterns and increased self-confidence, amongst other things. They feel lighter, energised and happier. Health kinesiology has been also used successfully by people wanting to achieve their full potential in sport, the arts and education.